Its uncanny resolution depends upon a half-drowned man that discovers his better half survived. Christopher Maguire is devastated after losing his parents in a plane crash and determined to raise his eight-year-old sister. Still reeling from the tragedy, he becomes an eyewitness to the jealous rage of his cousin. When he attempts to stop a brutal attack in the middle of a snowstorm, the ice suddenly gives way. Christopher wakes up suffering the consequences of oxygen deprivation and finds his former life has all but drowned too. But in a cruel year, Christopher discovers the unique innocence and beauty of Mary, who strives to lead a normal life despite a neurological disorder. 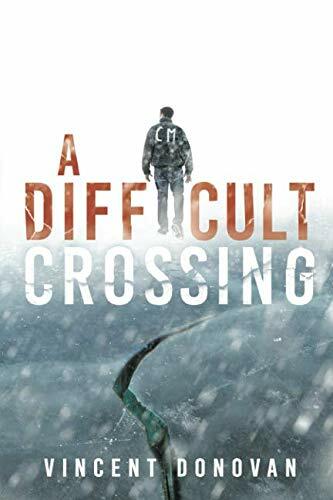 A strange apparition on a dark road emboldens him to embark on a risky journey to fill in the missing pieces of what happened when the ice broke. In the process, Christopher comes to realize how living on the margin allows him to discover the center. Vincent Donovan, a two-time quarter-finalist in the highly competitive “Amazon Breakthrough Novel Contest,” graduated with a B.A in English from Merrimack College and an M.B.A from Rivier University. For over twenty-seven years, Vin worked in various leadership positions in the biopharmaceutical industry. His debut novel Chasing Mayflies was a 2017 finalist for the Christian Small Publishers Association Book of the Year Award for General Fiction. He resides in Haverhill, Massachusetts with his wife Robin. They have two grown daughters and two adorable grandsons. Cozy up with the perfect gift this Holiday Season!